Galaxy 4 and 7 were configured to provide coverage to all 50 United States plus the Caribbean basin, with a signal strength of 36 dBW in C-band and 45 dBW in Ku-band across the contiguous United States. Galaxy IV was launched 24 June 1993, on an Ariane-42P H10+ rocket from Kourou, French Guiana. Galaxy VII was launched Oct. 27, 1992, aboard an Ariane-42P H10+ rocket from Kourou, French Guiana. The spacecraft is a version of the three-axis, body-stabilized Hughes HS-601 model built by Hughes Space and Communications Company (HSC) in El Segundo, Calif.
On 19 May 1998, Galaxy IV suffered an on-board failure in its spacecraft control processor, the first operating Hughes satellite to suffer such a failure in orbit. The spare control processor was unavailable due to earlier unrelated damage that had not previously been detected. 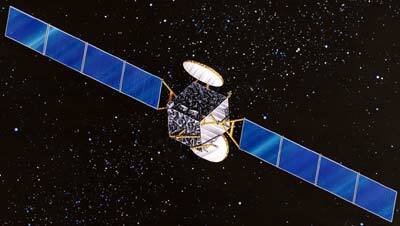 PanAmSat has taken the spacecraft out of service, seven years short of its intended 12-year operational life. On 13 June 1998, there was a brief shut-down of a portion of the C-band capacity on Galaxy VII that was accompanied by the failure of the primary on-board spacecraft control processor (SCP.) Control of the satellite was automatically switched to the spare control processor and the spacecraft was operating normally. Since then, Galaxy VII was used as backup satellite, providing occasional services in the United States. On 22 November 2000, the secondary SCP failed. The satellite was declared a total loss.